Jim Savage, LCDC - Rehab Works! "What’s your success rate?” is the first question many parents ask when deciding on a treatment program for their child. The correct answer is 100% or 0%. It depends on the individual. The good news is REHAB WORKS! Becoming an educated consumer is by learning how treatment works allows parents to take control and create the best chance for landing in the 100% category. Rehab Works! spells out everything parents need to understand substance use disorders, how they are treated, and most important, what they can do to give their child the best for success. 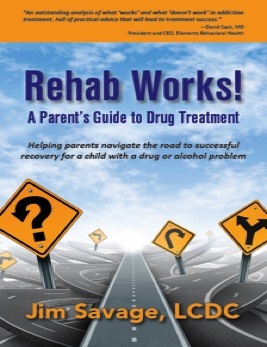 Helping parents navigate the road to successful recovery for a child with a drug or alcohol problem. "An outstanding analysis of 'what works' and what 'doesn't work' in addiction treatment. Full of practical advice that will lead to treatment success." Here's what people are saying about Rehab Works! "If your teen or young adult child is struggling with substance abuse or addiction, this information is a must!" 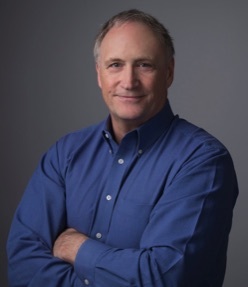 — Sonnee D. Weedn, Ph.D.
"I found this book while our daughter was in her second rehab. I wish we would have had this information during her first treatment. It could have saved a lot of heartache that resulted from a bad relapse." “Brilliant in its simplicity—identifying what makes treatment successful, how to avoid common pitfalls, and ultimately, how to achieve treatment success. Helping parents get the most out of this valuable information! Join the growing number of treatment programs who have made Rehab Works! part of their family program curriculum. For parents: Becoming an "educated consumer" by learning how treatment works allows parents to take control and create the best chance for treatment success. For professionals: As a resource aimed at improving treatment outcomes, Rehab Works! is important for the treatment industry as a whole. • For substance abuse professionals, it offers valuable insight for evaluating the effectiveness of how treatment is delivered. • Outside of the treatment field, this book is important for professionals who work with young people in any capacity: high school principals, probation officers, pediatricians, coaches, mental health counselors, judges, and so on. Greater understanding about addiction treatment among youth professionals across the board will lead to increased support for treatment clients and parents that extends beyond the boundaries of the treatment center. For clients: Rehab Works! provides one of the most effective outlines available of what goes into a successful recovery plan. Not just for parents—Rehab Works! is equally valuable for treatment clients as well!